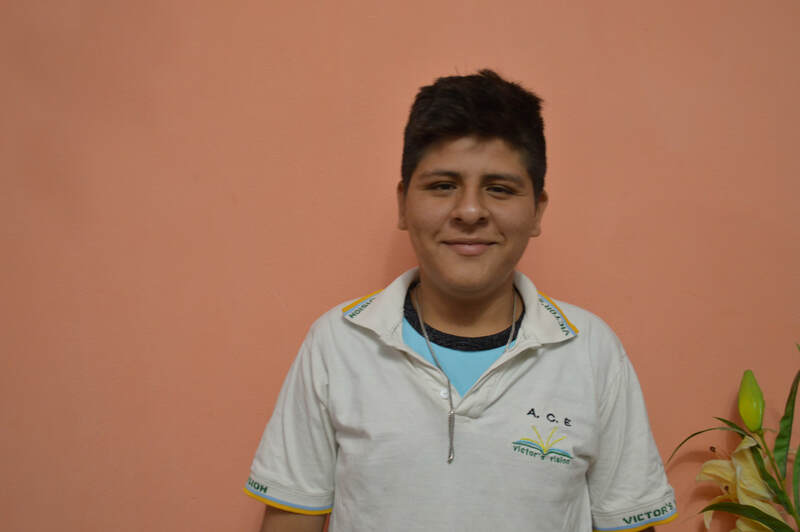 Irving joined the Victor's Vision in 2011 when he was 10-years-old, and was one of the first students in the program. His younger brother, Anghelo, is also in the program. Irving lives with his mom, dad, Anghelo, and a younger sister. His parents are both ceramic makers and their workshop is inside of their home, which is just a few houses north of Victor's Vision's site. In his free time, Irving likes to play soccer. "I come to Victor's Vision because I like to learn. I really love how the professors teach us here. The classes really help us to better understand our studies. When I'm older I want to operate heavy machinery. I really love to drive - motorbikes, cars, anything."